A few weekends ago, Gorgeous and Green Events created the flowers, event design and helped coordinate the day for Meredith and Ben's wedding at the Kensington Community Center in Kensington, CA. The location has a slightly simple and outdated community center, so it was fitting that Meredith decided to forego using the center itself and instead use the outside areas. The Center sits on a hill with a nice large patch of grass and an amphitheater in the back. There, we transformed the outside space to hold the festivities of the wedding ceremony and reception. 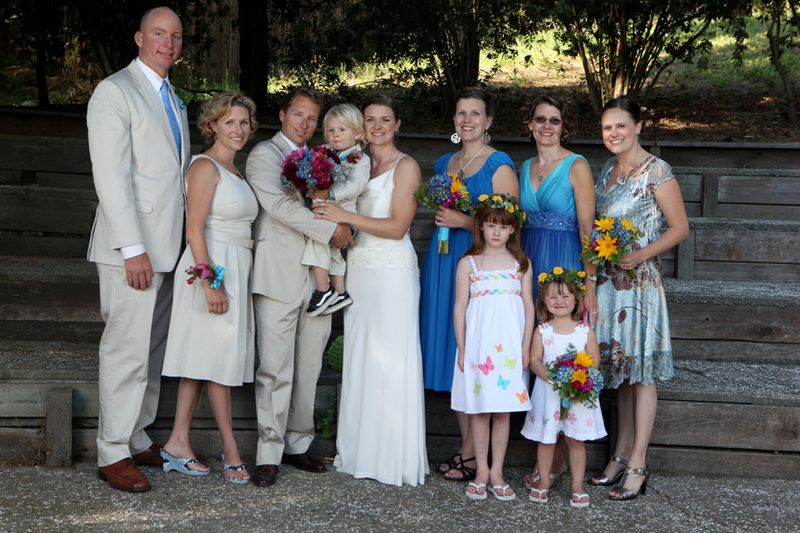 The wedding party: I really liked that there was a groom's woman for support on the groom's side. And, she wore a kaki dress to match! 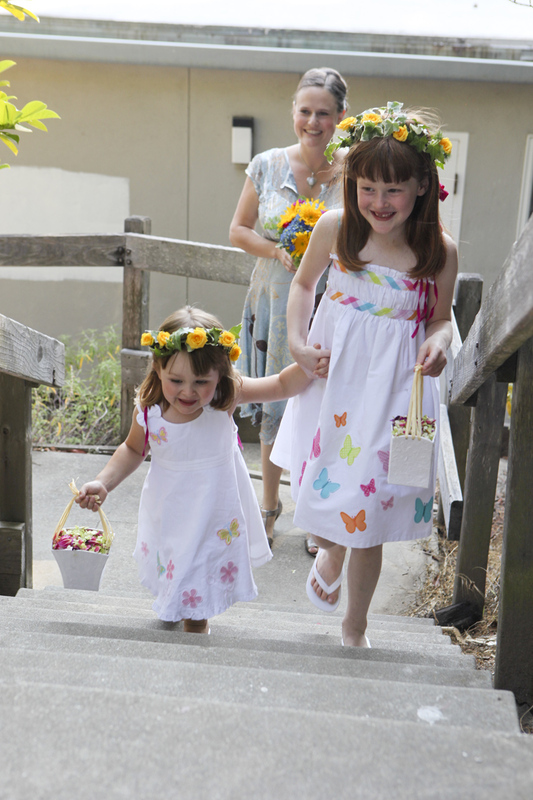 Flower girls on the march, with cute compostable flower baskets that Meredith bought them. 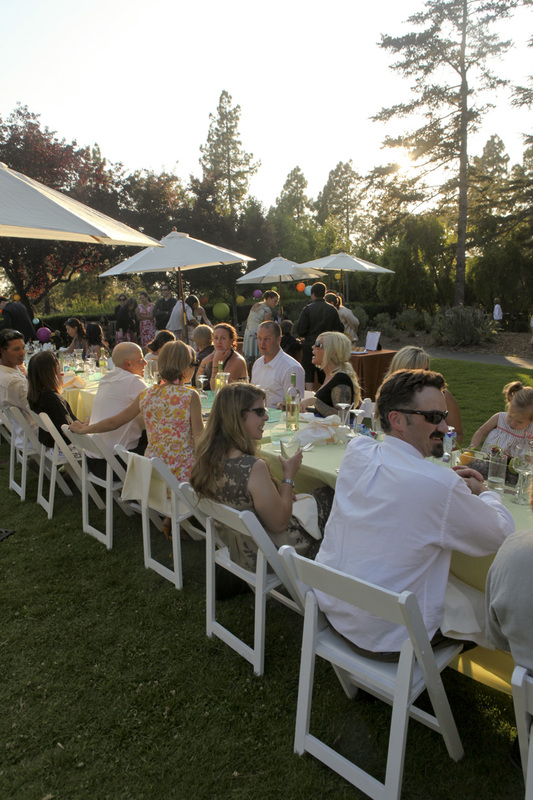 The Dining Room: outside on the grass, tables were placed end to end to make rows. 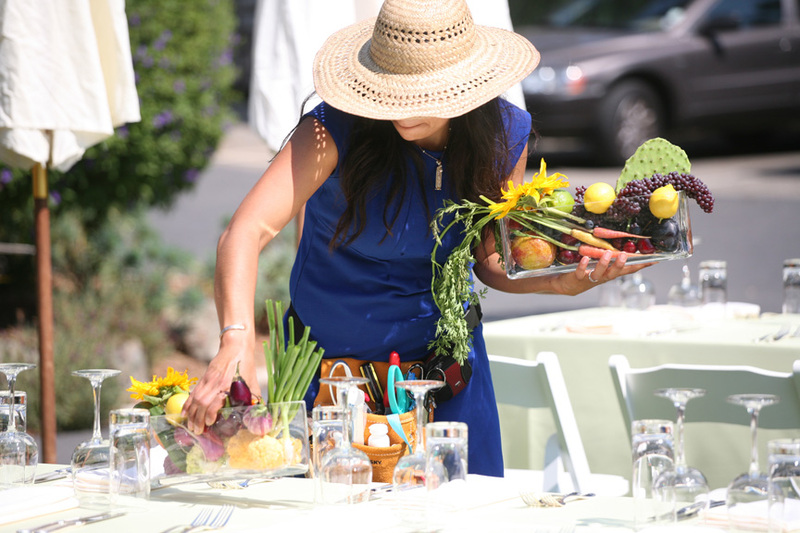 Meredith was not really into flowers for the event, so on each table I placed a glass vase filled with locally grown fruits and vegetables. At each seating there were reused strawberry baskets for the guests to use to take some fruits or veggies home at the end of the night. Meredith wanted a vibrant color scheme, so we went with fruity colors, like lime, mandarin and raspberry. 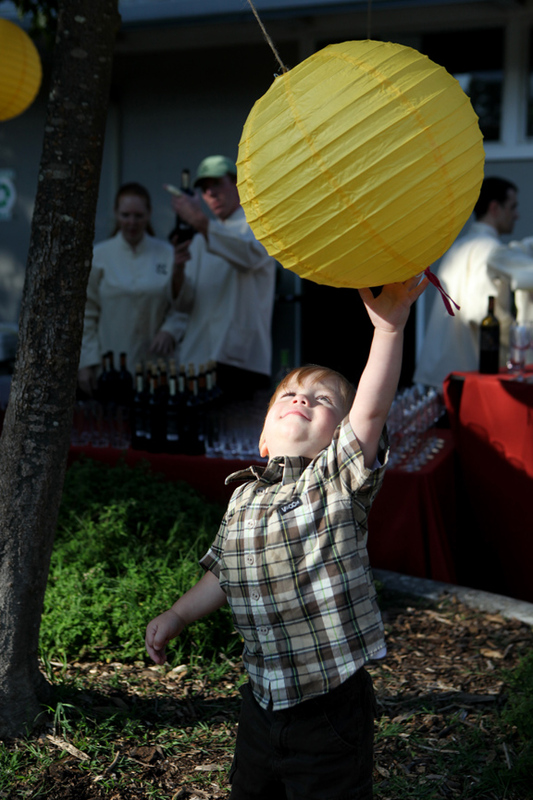 We decided to string lanterns around the grassy area to enclose the outside space and create a festive air. Some of the lanterns were reused from my wedding (the turquoise ones) and I hand died the fuchsia cotton ribbons myself, biodegradable! 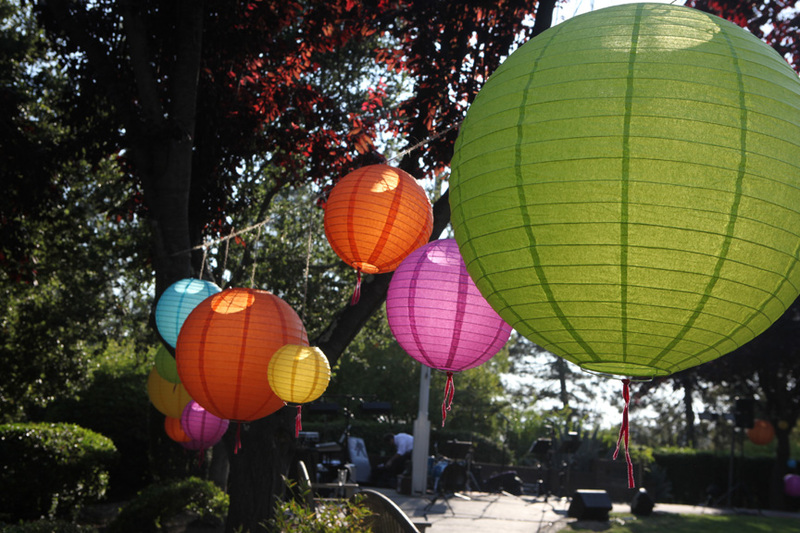 There were a lot of young children at the event, and it was planned to be family friendly, with kid friendly seating (like booster chairs and high chairs), kid friendly music and lots of paper lanterns to play with! 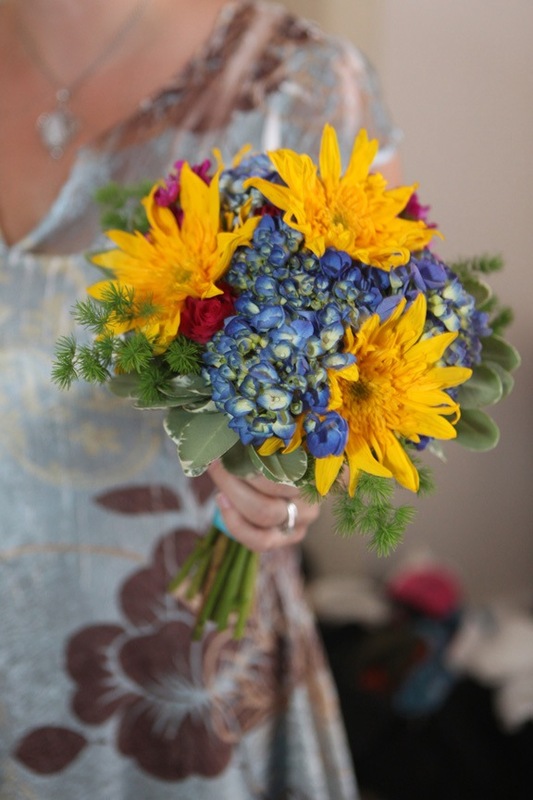 She chose a blue and fuschia pink color scheme for her bouquet and I accented that with some beautiful all yellow sunflowers in the bridesmaid's bouquets. 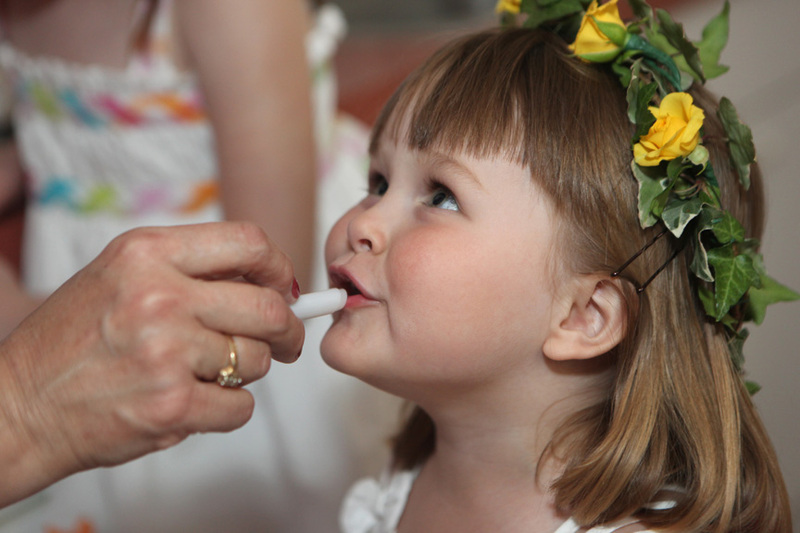 The event was filled with sustainable touches and eco-friendly design. And the sustainability will go on. I kept many of the lanterns and the glass vases, and I plan to reuse them for another event some day. 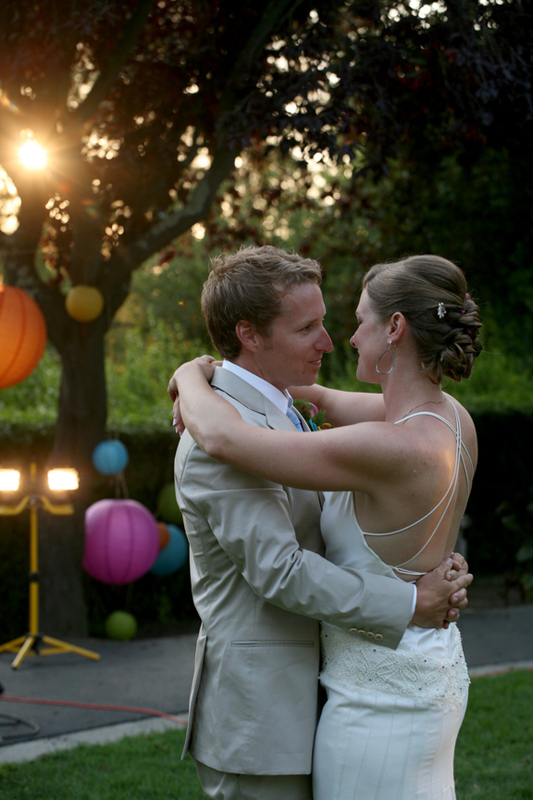 Having worked with the Bride since the beginning of the planning, it's always nice to see it all come into fruition. And in such a beautifully conscious and fun way.